Monster Island | Игры для Windows Phone | Приложения+игры | Windows Phone Live! 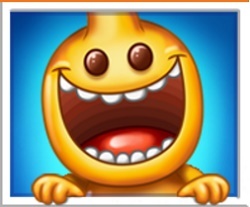 Monster thugs are on the loose harassing the inhabitants of the colorful world of Monster Island. Now, it's up to you and your arsenal of minimonster bombs to get rid of this plague of unwanted visitors. Can you stand against such mischievous foes?